Prime Painting Group has evolved from my time over the years, firstly as an apprentice 1977 – 1981 then from working on large industrial and commercial sites, and then on to setting up the business in 2002. From this grounding, PPG has moved into many other areas of the painting industry, such as “once-off’ projects and refurbishments, whilst maintaining the same focus of working directly with our clients. We have performed works for Councils, Aged Care facilities, Schools, Property Managers, Bodies Corporate, Insurance works, Civil projects, Bridges and hundreds of residential homes. We have been successful in these areas, because our past experience has taught us not to succumb to the building/facilities industry model of subcontracting, where supplier and staff turnover is high. In order to perform quality works, we remain customer focused, and ensure a sound safety performance. We maintain a long term focus on our employees, our management systems, the quality of our works, and most importantly – you. You can contact us directly for any requirements regarding painting, building washing, protective coatings, anti-graffiti coatings, emergency call-outs, epoxy flooring, line marking, and/or any related issues. All quotes, advice, reports, proposals, and industry contacts are supplied FREE of charge, so contact Prime Painting Group the next time you need works done, and experience the superior, and quality, service we can offer your organisation. • In operation since 2006 • Perfect wallpaper alternative with a removable adhesive and a high-end, fabric finish. • The company manufactures standard designs and custom decorative wallpapers and murals, and wall decals • They print to order from their Melbourne-based print house and has earned Australian Made certification. • Partnering with Guest Designers and Brands to ensure the product offering remains stylish and contemporary. • The print house has capacity to ramp up for large jobs to ensure fast turn-around times, featuring HP Scitex printing technology which produces outstanding print quality. • Worked with companies such as Dulux, World Hotel Design, Helen Gory Gallery, Royal Children’s Hospital and Frasers Property Australia. Matt’s painting and decorating services is one of the best painting and decorating service providers in Melbourne. We are dealing with commercial and residential clients using premium quality products with in-depth knowledge and skilled team support. The company is offering all forms of painting solutions like special effect products and decorative finishes. Our aim is to deliver the projects on time and within specified budget. We know that your property is a valuable asset that’s why our team takes complete care of your needs and seriously go through each and every detail. A family owned business has over 25 years experience in the wallpapering trade. We offer the CBD, South East Melbourne and the Mornington Peninsula professional wallpaper hanging and removal services at a competitive price. 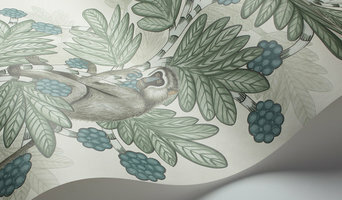 Aidan Griffin is a fully qualified Wallpaper Installer with a New Zealand Trade Certificate. 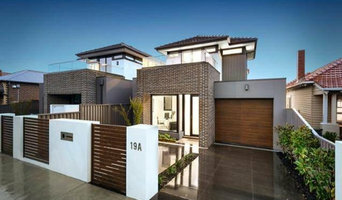 Aidan has appeared on 3AW's 'Big House' as an industry expert. He has also been interviewed & featured in the 'Herald Sun Home Magazine' and the 'Australian Property Investor Magazine' because of his extensive experience installing wallpaper for residential and commercial projects. Offering the full customer experience, we can provide you a selection of wallpaper books, measure your walls, order and deliver the wallpaper, then install the wallpaper professionally, leaving your space clean & transformed. We have a number of wallpaper books to bring to you so you are able to chose the perfect wallpaper for your space. Our Wallpaper Books show wonderful wallpapers with a wide selection of geometric, contemporary, traditional and modern designs. Founded in 2018, TD at Home is the residential and small business arm of Tint Design Pty Ltd - a window film, wall graphics, and signage company that has been in business for over 30 years. With success in the commercial sector for over three decades it was time for Tint Design to share their knowledge, skill and professionalism with home owners and small business entrepreneurs. The impact that window film can have on the energy efficiency of a home or office is extraordinary, and a wall graphic or vinyl decal can transform a space in minutes. Sometimes it’s hard to know what the best solution is for your space so that’s where our years of film knowledge and variety of installation experience allows for the best possible advice and service you can get. The staff at TD at Home know from experience that using an inferior quality product gives you a poor quality finish. However with the buying power of a commercial company behind us we at TD at Home can offer the best brands at the lowest prices. Make the right choice for your home or business and contact us today! Paint and wall covering contractors are experts in the specs, application and removal of paint, wallpaper and other wall coverings. 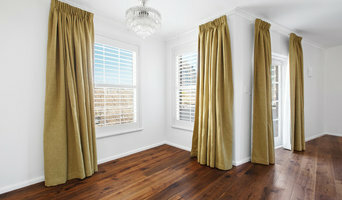 They can help you choose the paint color and finish, wallpaper style or specialty covering that best suits the needs of your Melbourne, VIC, AU home, whether the job is for the interior or exterior. In addition, they can strip off old paint or paper and prepare surfaces through sanding, skim coating and other processes. Many can handle decorative paint treatments and materials such as plaster. A paint and wall covering contractor might work closely with Melbourne, VIC, AU interior designers, builders and others, too. Here are some related professionals and vendors to complement the work of paint & wall covering dealers: Interior Designers & Decorators, Artists & Artisans, Window Treatments, Carpet Dealers. Find a paint and wall covering contractor on Houzz. Narrow your search in the Professionals section of the website to Melbourne, VIC, AU paint and wall coverings. You can also look through Melbourne, VIC, AU photos to find examples of paint jobs and wall coverings that you like, then contact the professional who worked on them.